PLEASE READ THESE TERMS AND CONDITIONS CAREFULLY BEFORE PLACING AN ORDER, WHETHER BY PHONE, ONLINE OR VIA ANOTHER ACCEPTED METHOD FOR PLACING ORDERS, OR OTHERWISE USING OR RELYING ON THIS WEBSITE. This Website’s Terms & Conditions contains a choice of law provision. If you are accessing this Website outside of the United States, the laws and regulations of your country of access do not govern this agreement or your access to the Website. 1. Who is Eligible to Use the Website or Purchase a GHW Product or Service? Subject to the limitations set forth herein, you may upload any photographs, comments, video clips, reviews and other communications and content to the Website (“Your Content”). By posting or submitting Your Content you grant GHW a non-exclusive, royalty-free, perpetual, irrevocable, and fully sub-licensable right to use, reproduce, modify, adapt, publish, translate, create derivative works from, distribute, and display such content, and the name submitted in connection with such content, throughout the world in any media now known or hereafter conceived. GHW is free to use any ideas, concepts or know-how contained in Your Content for any purpose whatsoever including, but not limited to, developing, manufacturing, distributing and marketing products that use such information. You represent and warrant that (a) you own or otherwise control all of the rights to Your Content; (b) that Your Content is accurate; (c) that use of Your Content does not violate this Agreement and will not cause injury to any person or entity; and (d) that you will indemnify GHW for all claims relating to Your Content. We will not be responsible or liable to you or to any third party for the content or accuracy of Your Content. GHW has the right, but not the obligation, to monitor and edit or remove any activity or content for any reason and without notice. GHW takes no responsibility and assumes no liability for Your Content or for any of Your Content posted by a third party. GHW,ITS AGENTS AND REPRESENTATIVES ASSUME NO RESPONSIBILITY FOR ANY CONSEQUENCE RELATING DIRECTLY OR INDIRECTLY TO ANY ACTION OR INACTION YOU TAKE BASED ON THE INFORMATION, SERVICES, OR OTHER MATERIAL ON THE WEBSITE. WHILE WE SEEK TO KEEP THE INFORMATION ON THE WEBSITE ACCURATE AND UP-TO-DATE, GHW CANNOT GUARANTEE, AND SHALL NOT BE RESPONSIBLE FOR, ANY DAMAGE OR LOSS RELATED TO THE ACCURACY OR TIMELINESS OF ANY INFORMATION AVAILABLE ON THE WEBSITE. THE WEBSITE IS PROVIDED ON AN “AS IS” AND “AS AVAILABLE” BASIS. EXCEPT AS SPECIFICALLY PROVIDED HEREIN, TO THE FULLEST EXTENT PERMISSIBLE PURSUANT TO APPLICABLE LAW, GHW EXPRESSLY DISCLAIMS ALL WARRANTIES OF ANY KIND, WHETHER EXPRESS OR IMPLIED, INCLUDING, WITHOUT LIMITATION, ANY WARRANTIES OF MERCHANTABILITY, FITNESS FOR A PARTICULAR PURPOSE AND NON-INFRINGEMENT. GHW DOES NOT MAKE ANY WARRANTY THAT THE WEBSITE WILL MEET ANY REQUIREMENTS, OR THAT ACCESS TO THE WEBSITE WILL BE UNINTERRUPTED, TIMELY, SECURE OR ERROR-FREE, OR THAT DEFECTS, IF ANY, WILL BE CORRECTED. GHW MAKES NO WARRANTIES AS TO THE RESULTS THAT MAY BE OBTAINED FROM THE USE OF THE WEBSITE, THE PRODUCTS POR SERVICES OFFERED ON THE WEBSITE OR AS TO THE ACCURACY, QUALITY OR RELIABILITY OF ANY INFORMATION OBTAINED THROUGH ANY GHW WEBSITE, INCLUDING BUT NOT LIMITED TO INFORMATION OBTAINED THROUGH ANY LIVE CHAT OR STATIC OR DYNAMIC CONTENT. NO ADVICE OR INFORMATION, WHETHER ORAL OR WRITTEN, OBTAINED BY YOU FROM GHW OR THROUGH THE WEBSITE SHALL CREATE ANY WARRANTY NOT EXPRESSLY MADE HEREIN. If you order a product or service, payment must be received by GHW before your order is accepted. GHW may require additional information regarding your order if any required information was missing or inaccurate and may cancel or limit an order any time after it has been placed. Your order, whether by phone, online or by another order method, is conditioned on you accepting this Agreement. Once we receive your authorized order and a form of payment has been received, we will promptly process your order for shipment or delivery. All items and services are subject to availability. We will notify you if any item or service order is not available, the expected availability date and may offer you an alternative product or service. If the availability of any product or service is delayed and you do not wish to substitute the product or service, upon your request, we will cancel your order and if previously charged, your credit card will be refunded. GHW does not accept orders from dealers, wholesalers or customers who are resellers or intend to resell items offered on the Website. If GHW discovers that you are placing orders with the intent to resell items offered on the Website, on the telephone or any other platform, we will immediately cancel your order, suspend or terminate your account and, at our option, pursue any and all available legal remedies from you under applicable law. To the extent your conduct may be fraudulent, such as purchasing products through the use of fake or stolen cards, GHW will report you to federal, state and/or local enforcement authorities. By placing an order online, by telephone or other order method as part of an automatic renewal program YOU CONSENT TO CHARGES BEING AUTOMATICALLY MADE TO YOUR CREDIT OR DEBIT CARD FOR SUBSEQUENT SHIPMENTS AND YOUR PARTICIPATION IN THE PROGRAM SHALL BE IN EFFECT UNTIL IT IS CANCELED BY YOU. IF YOU PARTICIPATE IN AN AUTOMATIC RENEWAL PROGRAM AND YOU HAVE PROVIDED US WITH A VALID CREDIT CARD NUMBER OR AN ALTERNATE PAYMENT METHOD, EACH SHIPMENT WILL BE AUTOMATICALLY PROCESSED AT THE SCHEDULED TIME OF EACH SHIPMENT OR INSTALLMENT AND WILL BE BILLED TO THE PAYMENT METHOD YOU PROVIDED TO US AT THE TIME OF YOUR INITIAL PURCHASE AND AGREEMENT TO PARTICIPATE IN THE PROGRAM. IF YOU WISH TO CANCEL YOUR PARTICIPATION IN AN AUTOMATIC RENEWAL PROGRAM, YOU MAY DO SO AT ANY TIME BY CONTACTING A CUSTOMER CARE PROFESSIONAL VIA THE CONTACT INFORMATION PROVIDED ON THE WEBSITE. You agree that these Terms & Conditions, which are available on the Website and can be readily accessed, downloaded and/or printed by you, shall constitute an acknowledgment of the terms of GHW’s automatic renewal program, cancellation policy and information regarding how to cancel the program in a manner that is capable of being retained by you. We may, in our sole discretion, terminate the program or your participation in the program at any time and will provide you with notice of same. You are obligated to provide current, complete, and accurate information for your account. You are responsible for updating all information, including credit card or payment information, to keep your billing account current, complete, and accurate (e.g., change in billing address, credit card number or credit card expiration date). You must promptly notify us if your credit card information is cancelled or is no longer valid (e.g., loss or theft) or your shipment may be delayed or cancelled. Changes to such information can be made by contacting a customer care professional. Please see the Website for information on how to contact a customer care professional. If you participate in an automatic shipment program using a credit card and your credit card fails to process for a subsequent shipment, GHW may contact you for alternate payment information. If you fail to pay for any product or service received, your account may be sent for collection. If you accessed this Website or made your first product purchase from the United States & Canada and for any reason you are not completely satisfied with your first purchase, simply contact our Customer Care Department at 1-800-781-0874 within ninety (90) days of your first purchase for a complete refund (less shipping and handling). No refunds will be issued for returns after the ninety (90) day period from your initial order date. Recurring auto-shipments beyond the ninety (90) day trial period from the initial order date do not qualify for money back guarantee and no refunds will be issued for product returned outside the ninety (90) day period from your initial order date. 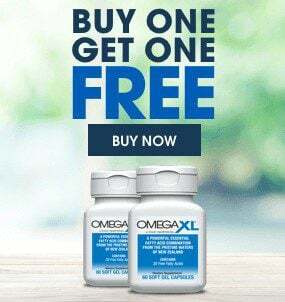 All “Buy 1 Get 1 Free” promotions apply to the first order only and require recurring monthly auto-shipments as set forth and agreed upon at the time of the initial order date. You may change your monthly recurring auto-shipment at any time by contacting our customer service center. The product will only be shipped following authorization of the monthly billing amount to your EFT/credit card information provided at the time of your initial order. You may cancel your EFT/credit card authorization by notifying us at least ten (10) days prior to the next billing cycle, which will result in no further billing and shipments of product. Cancellation will only take effect after we have had sufficient time to allow us and our financial institution, using commercially reasonable (but not extraordinary) efforts to act on this notice. For additional information on products or services and for all of your customer needs, please call us toll-free at 1-800-781-0874 during our regular business hours Monday thru Friday 9:00 AM to 6:00 PM EST. All information communicated on the Website is considered an electronic communication. When you communicate with any GHW company through or on the Website or via other forms of electronic media, such as e-mail, you are communicating with the company electronically. You agree that we may communicate electronically with you and that such communications, as well as notices, disclosures, agreements and other communications that we provide to you electronically are equivalent to communications in writing and shall have the same force and effect as if they were in writing and signed by the party sending the communication. You further acknowledge and agree that by clicking on a button labeled “SUBMIT”, “BUY NOW”, “PURCHASE”, “ORDER NOW”, “I ACCEPT”, “I AGREE” or similar links or buttons, you are submitting a legally binding electronic signature and are entering into a legally binding contract. You acknowledge that your electronic submissions constitutes your agreement and intent to be bound by this Agreement. Pursuant to any applicable statutes, regulations, rules, ordinances or other laws, including, without limitation, the United States Electronic Signatures in Global and National Commerce Act, P.L. 106-229 or other similar statutes (and any revisions or amendments thereto). YOU HEREBY AGREE TO THE USE OF ELECTRONIC SIGNATURES, CONTRACTS, ORDERS AND OTHER RECORDS AND TO ELECTRONIC DELIVERY OF NOTICES, POLICIES AND RECORDS OF TRANSACTIONS INITIATED OR COMPLETED THROUGH THE WEBSITE. Furthermore, you hereby waive any rights or requirements under any statutes, regulations, rules, ordinances or other laws in any jurisdiction which require an original signature, delivery or retention of non-electronic records or to payments or the granting of credits by other than electronic means. You understand that all telephone calls, live chats and other communications such as personal messaging or social media posts to or from GHW are monitored and recorded and YOU CONSENT TO SUCH MONITORING AND RECORDING. You verify that any contact information provided to GHW is true and accurate. You further verify that you are the account subscriber or that you own or are an authorized user of any telephone numbers, email addresses, etc. that you provide to GHW. You further agree that GHW and/or its agents may contact you at any telephone numbers, email addresses, etc. that you provide to GHW and/or its agents, including via text and/or an automatic telephone dialing system or artificial or prerecorded voice, for any purpose, including service or marketing, even if your telephone number is on a corporate, state or National Do Not Call Registry. You understand that you are not required to provide such consent as a condition of receiving any good or service, and that such communications may be made by or on behalf of GHW. You acknowledge that you may incur a charge for these communications by your telephone or internet carrier and that GHW will not be responsible for these charges. GHW may obtain, and you expressly agree to be contacted at, e-mail addresses, mailing or shipping addresses, phone numbers or other communication accounts provided by you directly or obtained through other lawful means, such as skip tracing. You agree to provide GHW notice within 30 days of any change to your contact information by writing to 4150 SW 28th Way, Fort Lauderdale, FL 33312, Attention: Customer Care or emailing [email protected]. Your consent to this communications provision is not required to make any purchase with GHW. Arbitration is a manner of resolving a “Claim” without filing a lawsuit. “Claim” means any dispute between you, GHW (or its affiliates, including as defined above, or agents or representatives) or any involved third party relating to your account, your use of the Website, your relationship with GHW or these Terms & Conditions. This includes any and all Claims that arise from or relate in any way to your use of the products or services, your attempted use of the products or services, the use of the Website and any act or omission by GHW or any third party related to your use or attempted use of the products or services. You, GHW or any involved third party may pursue a Claim. GHW agrees to binding arbitration should it have any Claims against you. Likewise, you agree to binding arbitration should you have any Claims against GHW. By agreeing to arbitrate, you waive the right to go to court and agree instead to submit any Claims to binding arbitration. This includes Claims based on contract, tort, equity, statute, or otherwise, as well as Claims regarding the scope and enforceability of this provision. It includes all Claims by or against you, GHW and/or any affiliated person, company and/or agent. This arbitration provision sets forth the terms and conditions of our agreement to binding arbitration and is governed by and enforceable under the Federal Arbitration Act (the “FAA”), 9 U.S.C. §§ 1-16, as amended. As an exception to binding arbitration, you and GHW both retain the right to pursue, in a small claims court, any Claim that is within that court’s jurisdiction and proceeds on an individual (non-class) basis, including overdue account matters within the small claims court’s jurisdiction. GHW will not demand arbitration in connection with any individual Claim that you properly file and pursue in a small claims court, so long as the Claim is pending only in that court. Binding arbitration also does not apply to disputes concerning trade secret misappropriation, patent infringement, copyright infringement or misuse, or trademark infringement or dilution. You acknowledge and agree that before initiating any Claim (subject to the exceptions above) against GHW, you will first give us an opportunity to resolve your problem or dispute. You are required to send a written description of the issue to us, including, but not limited to, information or representations related to the product or service upon which you rely. You may send the written description by U.S. Mail to Great HealthWorks, Inc., 4150 SW 28th Way, Fort Lauderdale, FL 33312, Attn: Legal Department. You agree to negotiate with GHW or its designated representative in good faith about your problem or dispute. If for some reason your problem or dispute is not resolved to your satisfaction within sixty (60) days after GHW’s receipt of your written dispute, you agree to the dispute resolution provisions below. You and GHW agree to commence any arbitration proceeding within one (1) year after the Claim arises (the one (1) year period includes the required pre-dispute procedures set forth above) and that any arbitration proceeding commenced after one (1) year shall be barred. For your convenience, the arbitration may be conducted in the federal district where you reside. If both you and GHW agree, the arbitration may be held by telephone or through written submissions. You agree that any Claims shall be resolved by submitting the dispute to final and binding confidential arbitration before a single arbitrator who is a retired judge or an experienced attorney with experience in the subject(s) of the Claim. The arbitrator shall be chosen from JAMS Comprehensive Arbitration Rules and Procedures (see www.jamsadr.com) and the arbitration rules of the selected tribunal shall apply, which can be obtained by calling the selected tribunal or visiting its website. The arbitrator shall have the exclusive and sole authority to resolve any dispute relating to the interpretation, construction, validity, applicability or enforceability of these Terms & Conditions and this arbitration provision. The arbitrator shall have the exclusive and sole authority to determine whether this arbitration agreement can be enforced against a non-signatory to this agreement and whether a non-signatory to this Agreement can enforce this provision against you or GHW. The parties shall share equally the arbitrator fees for an arbitration initiated by either party. The parties shall each pay their own fees, costs and expenses, including but not limited to, those for any attorneys, experts, documents and witnesses. The arbitrator shall follow Florida substantive law and any ordered relief shall be binding. The arbitrator may award any form of individual relief including injunctions and punitive damages. The arbitrator may award costs or fees to a prevailing party. Nothing herein shall be construed to limit the arbitrator’s ability to award remedies provided by applicable law. Any award rendered shall include a written opinion and shall be final subject to appeal under the FAA. This provision survives termination of your account or relationship with GHW, bankruptcy, assignment or transfer. If the class action waiver is deemed unenforceable (i.e. unenforceability would allow arbitration to proceed as a class or representative action) then this entire arbitration provision shall be rendered null and void and shall not apply. If a portion of this arbitration provision (other than the class action waiver) is deemed unenforceable, the remaining portions of this arbitration provision shall remain in full force and effect. Failure or any delay in enforcing this arbitration provision in connection with any particular Claims will not constitute a waiver of any rights to require arbitration at a later time or in connection with any other Claims except all Claims must be brought within the one (1) year limitation period set forth above. This provision is the entire arbitration agreement between you and GHW and shall not be modified except in writing by GHW. GHW reserves the right to amend this arbitration provision at any time. Your continued use of any GHW Website, purchase of a product or service on or through a GHW website, or use or attempted use of a GHW product or service, is affirmation of your consent to such changes. Should the changes to this arbitration provision be material, GHW will provide you notice and an opportunity to opt-out. Your continued use of any GHW site, purchase of a product or service through any site or use or attempted use of a GHW product or service is affirmation of your consent to such material changes. YOU HAVE THE RIGHT TO OPT-OUT OF THIS ARBITRATION PROVISION WITHIN THIRTY (30) DAYS FROM THE DATE OF PURCHASE, USE OR ATTEMPTED USE OF A PRODUCT OR SERVICE PURCHASED BY PHONE OR ON OR THROUGH THIS GHW WEBSITE (WHICHEVER COMES FIRST) BY WRITING TO GREAT HEALTHWORKS, INC., 4150 SW 28TH WAY, FORT LAUDERDALE, FL 33312 ATTN: LEGAL DEPARTMENT. FOR YOUR OPT-OUT TO BE EFFECTIVE, YOU MUST SUBMIT A SIGNED WRITTEN NOTICE IDENTIFYING ANY PRODUCT OR SERVICE YOU PURCHASED, USED OR ATTEMPTED TO USE WITHIN THE THIRTY (30) DAYS AND THE DATE YOU FIRST PURCHASED, USED OR ATTEMPTED TO USE THE PRODUCT OR SERVICE. UNTIMELY OPT-OUTS WILL NOT BE VALID AND YOU MUST PURSUE YOUR CLAIM THROUGH ARBITRATION AS SET FORTH IN THIS AGREEMENT. GHW respects the copyright and intellectual property rights of others and may, without notice, remove content that appears to infringe the copyright or other intellectual property rights of others. In addition, GHW may terminate Website access by users who appear to infringe the copyright or other intellectual property rights of others. Further, GHW will comply with the Digital Millennium Copyright Act. Please direct other inquiries regarding any infringement issues by email to [email protected]. The GHW company operating this site or providing products and services through this site, may assign, transfer or sub-contract any of its rights or obligations under this Agreementto any third party or any GHW company at its discretion. Any representations, warranties and indemnification obligations made or undertaken by you will survive cancellation or termination of your account or relationship with GHW. No delay by GHW in exercising any right or remedy under this Agreement shall operate as a waiver of that right or remedy or shall affect GHW’s ability to subsequently exercise that right or remedy. Any waiver must be agreed to by GHW in writing. If any term or provision of these Agreement is held invalid, illegal or unenforceable for any reason by a court of competent jurisdiction, such invalidity, illegality or unenforceability shall not affect any other term or provision of this Agreement and this Agreement will be construed as if such invalid, illegal or unenforceable provision had never been contained herein. This Agreement supersedes and replaces any other terms previously published by us and any other representations or statements made by us to you, whether oral, written or otherwise.